Dimmable magnetic power supply for use with LED Ribbon/Strip products. 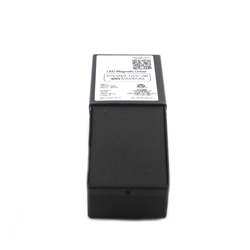 Intended for dimming SCR1, SCR3, and other constant voltage LEDs with a traditional magnetic wall dimmer. For a list of compatible dimmers look for the link below. Available in 12 or 24VDC. Click HERE for a list of compatible dimmers.